*Please see the Disclaimer & FAQs for information regarding purchasing from this store. 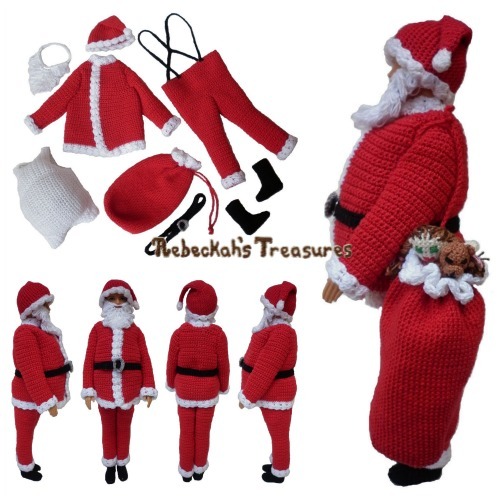 Crochet this awesome Santa hat for your male fashion dolls! 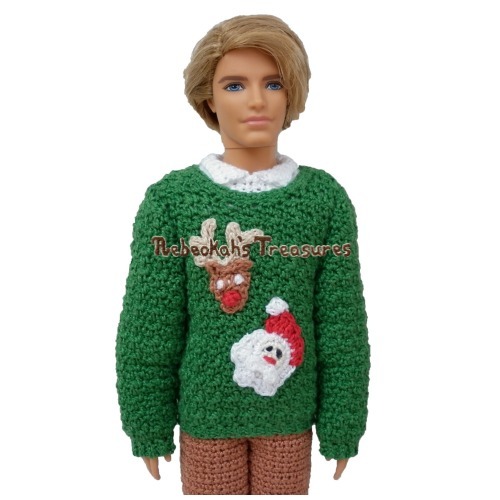 *I'm a FREEBIE from the Santa Male Fashion Doll Crochet Pattern! 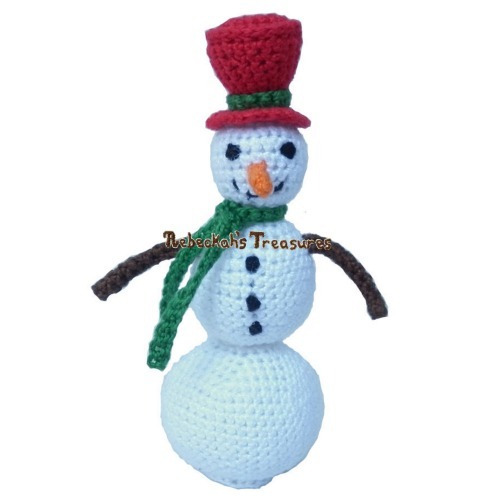 Written instructions include how to crochet the santa hat pictured. This PDF formatted pattern has 1 page (451 KB) and uses US Terms. Designed to fit the standard 12" fashion dolls by Mattel. *These measurements are from using a 1.7mm Hook and Size 10 Cotton Thread. Use an alternate yarn weight to make a larger hat. All crochet patterns on this website are copyrighted to Rebeckah Ferger of Rebeckah's Treasures (www.rebeckahstreasures.com). These patterns are for personal use only. They may not be copied, altered, or redistributed in any way. 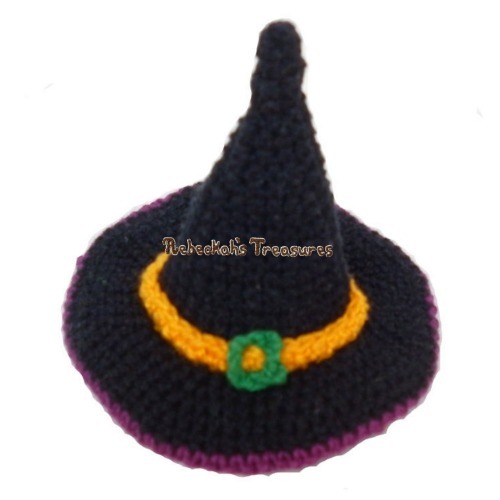 You are more than welcome to sell what you crochet from any of Rebeckah's patterns. If you sell what you make online, please link back to this website and give pattern credit to Rebeckah's Treasures. Thank you! *Troubles ordering? Please Contact Me.